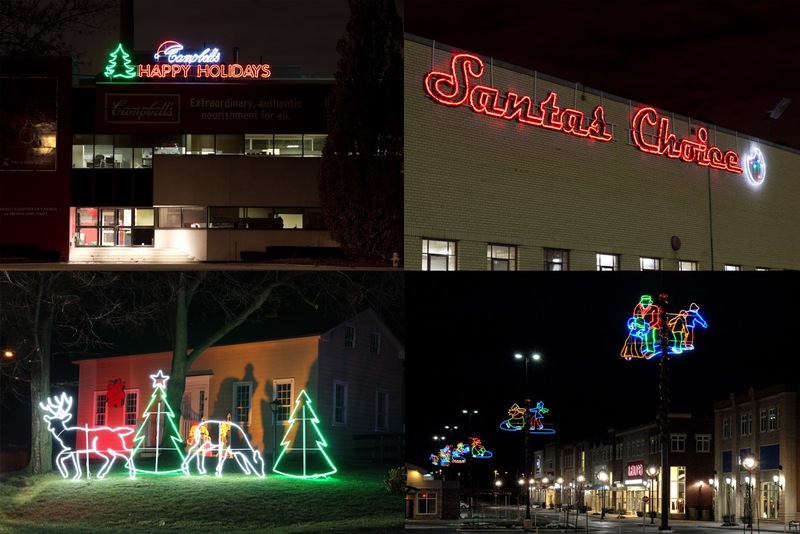 With Christmas less than 112 days away and orders for décor starting to come in, we at Classic Displays want to ensure that our customers know and understand the difference between LED rope lit and bulb lit displays before they make their purchase. At Classic Displays rope lit displays are our specialty. From pole mount to wall mount to large ground mount displays, we have done it all. We carry a wide variety of stock displays to choose from and we have also manufactured a number of custom displays for a variety of customers over the years. Rope lit displays are very popular with customers because the rope light gives the display consistent illumination. 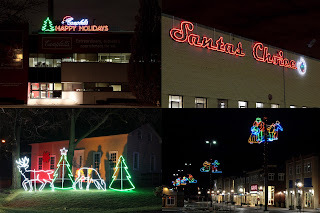 With the diodes spaced an inch apart and the rope light lining the entire frame of the design, you’re final product is an attractive, evenly spaced, brightly lit display. With a bulb lit display you will not get that same consistency as the bubs are spread further apart. Another aspect to look at in the great debate of rope light vs. bulbs is the flexibility of the products. The way rope light is made, paired with its consistent lighting, allows us to light more complex, detailed designs with ease. Dressing a more complicated design that has a number of small details (such as a design including a face) is more difficult to do with bulbs. 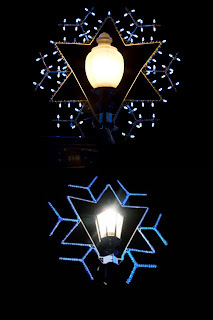 Due to the bulkiness of the bulb, and the larger space between each bulb, they have to be strategically placed along the frame and smaller details can get lost in what looks like a blob of light. What perhaps is the biggest misconception in the difference between rope lit and bulb lit displays is the price. People assume that due to the amount of rope light used in a display it is the more costly of the two to produce, when in fact that is not the case. As previously mentioned, strings of bulbs have to be strategically placed on the frame making it a more time consuming task and increasing the manufacturing costs. Bulb lit displays are easier to maintain than rope lit displays as you can replace individual bulbs with ease, but overall the cost between the two different displays is comparable. Ultimately, what it comes down to is what design you chose and what you are looking for aesthetically. More traditional designs such as snowflakes look great as bulb lit displays, but as you get into more complex, detailed designs, rope light is your best option.